Membership in the EPSG is open to all companies, associations, institutions and individuals worldwide who stand by the goals of the EPSG. The system's openness is also mirrored in the EPSG's organizational profile. The user organization has a clear democratic structure and ensures a transparent decision-making process. All members have the opportunity to join various working groups on the topics of safety, technology development, standardization and certification as well as to actively influence future POWERLINK and openSAFETY developments.Active participation by all members ensures a higher level of investment security for both users and manufacturers. 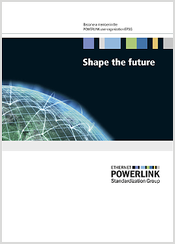 The EPSG works to ensure the standardization and promotion of POWERLINK technology and will support your company as you implement your POWERLINK and openSAFETY applications. Work together with other EPSG members on technically challenging projects and inform others all over the world by taking part in shared marketing activities. You can also take advantage of the EPSG network for your development and sales activities as well.